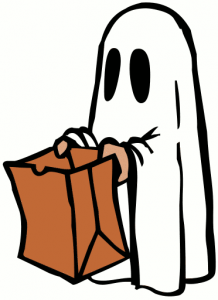 H – Hold a flashlight while trick or treating to help you see and others see you. L – Look both ways before crossing the street. Use established crosswalks. O – Only walk on sidewalks whenever possible or the far edge of the road facing traffic to stay safe. During trick or treat, those who are driving should be more alert and use extra caution when driving through residential neighborhoods. By slowing down and watching not only crosswalks but between parked cars is very important. Pay close attention when pulling into driveways and alleys. Make sure to use your headlights during the trick or treat times, even if there appears to be enough daylight. Though we all want to believe that no one would tamper with candy and put children in harm’s way, it is advised to inspect all the candy your children receive. To inspect their candy, you will need to be in a room with bright lights and look for anything that doesn’t seem right. This can include lumps or bulges, punctures or pinholes in wrappers, ripped wrappers, loose wrappers, discolored or stained wrappers, foreign objects poking out, candy out of the original packaging, and treats that are in unsealed boxes. We hope you have a safe and fun Trick-or-Treat night! The fun doesn’t end there for Ross County though. 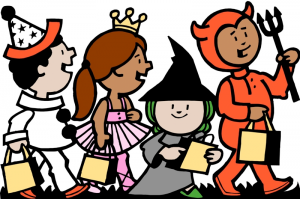 The Annual Downtown Chillicothe Halloween Parade hosted by the Chillicothe Jaycees and Evening Lions is on Saturday, October 29th at 7:00 p.m.